Preheat oven to 425°,. 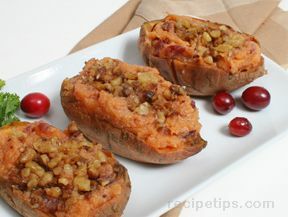 Place sweet potatoes on an aluminum foil-lined baking sheet. Bake for 45 minutes or until tender. Let stand 20 minutes. 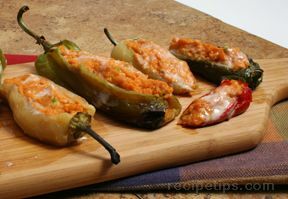 Reduce oven temperature to 350°. Meanwhile, cut oranges in half crosswise. Scoop out pulp using a spoon, leaving peel intact. Reserve orange pulp for another use. 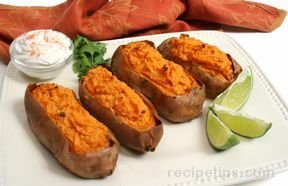 Peel sweet potatoes, and place potato pulp in a large bowl. Add sweetened condensed milk and next 7 ingredients. Beat at medium speed with an electric mixer until smooth stopping occasionally to remove any tough fibers, if necessary. Spoon about 1/2 C mixture into each orange cup. Place orange cups in a 13 x 9 inch baking dish. Bake at 350 for 20 minutes. Remove from oven, and top with marshmallows, pressing lightly to adhere. Bake 15 to 20 minutes or until marshmallows are melted and golden brown. Note: Orange cups and sweet potatoes can be made 1 day ahead. Chill scooped orange cups and baked sweet potatoes in separate plastic bags until ready to assemble.